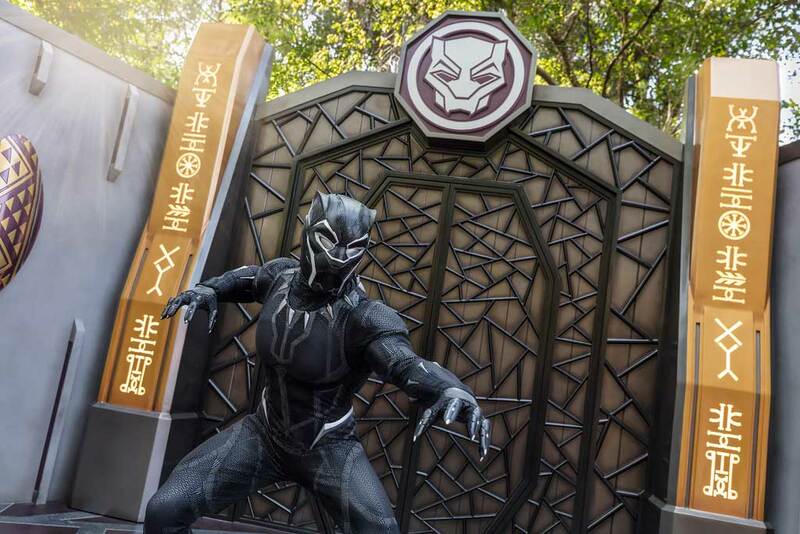 (Hong Kong, 15 March 2018) Hong Kong Disneyland Resort (HKDL) has launched its first-ever “Carnivale of Stars” today, bringing on a rich line-up of excitement throughout spring and summer! The extended seasonal treat starts with Springtime celebrations today and will last till June 20, with a host of beloved Disney friends filling every day and night with Disney Magic. Brand-new spectacular offerings, including the “We Love Mickey!” Projection Show, the African-style Karibuni Marketplace and the atmosphere stage show “Moana: A Homecoming Celebration,” ensure guests enjoy an extraordinary Disney carnival starting from the new season of the year! A series of surprises began to emerge during Springtime! More than 100 Disney friends are appearing in different ways with exciting activities around the resort from day to night. Starting from today, Minnie Mouse and her pals are inviting guests to a surprise party for Mickey Mouse at Disney’s all-new “We Love Mickey!” Projection Show along Main Street, U.S.A. every evening. This new surprise celebration will transform the buildings of Main Street, U.S.A. into a canvas for vibrant, colorful visuals that pay tribute to Mickey’s major milestones. The artistic experience features Mickey’s memorable classics, his full-color heyday and a crazy kaleidoscope of Mickey in modern styles. 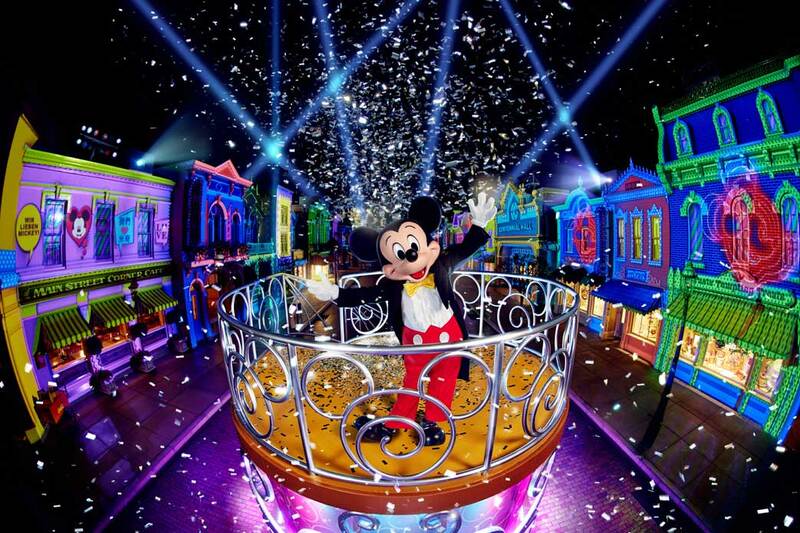 In the finale of the dazzling light show, Mickey will appear in his finest attire to thank everyone for the fantastic surprise. Itis a spectacle of color, music and visual effects that guests will want to experience again and again. There are new faces and long-time Disney friends appearing at different corners of the park during the “Carnivale of Stars.” Mickey, Minnie and the gang welcome the warm weather in their coolest spring outfits. Baymax and Hiro from Big Hero 6 await to greet guests in The Annex at Main Street, U.S.A., while Marvel Super Hero Black Panther and the brave heroine Moana make their debut appearances in Adventureland. Beginning in April, two more Marvel Super Heroes, Groot from Guardians of the Galaxy and Spider-Man, will appear in Tomorrowland. Come join the colorful “Disney Friends Springtime Processional” every afternoon when joyful music rings out along Main Street, U.S.A.! More than 30 Disney friends will be joined by nearly 50 performers and a colorful flower train to share cheerful songs and dance with guests. 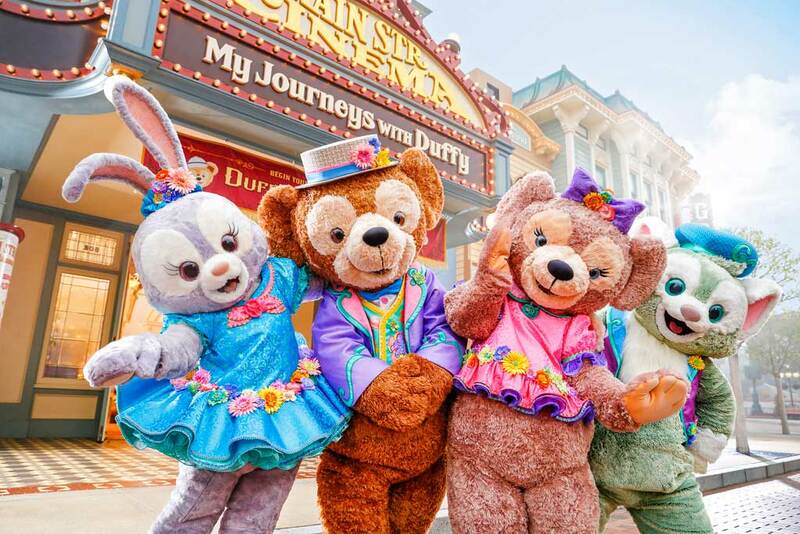 StellaLou will join Duffy, ShellieMay and Gelatoni in the processional for the first time in their brand-new spring outfits. Guests can also say hello to Disney friends including Judy and Nick from Zootopia, Alice and the White Rabbit from Alice in the Wonderland, Marie from The Aristocats, the Seven Dwarfs, Tigger and Piglet, and dance along in the vibrant and immersive processional. The popular “Disney Character Egg Hunt” returns this year. Close to 100 character-themed eggs are scattered around the park and the resort hotels. Guests will have a cracking good time searching for the enlarged eggs decorated after Disney friends, Marvel Super Heroes and more! Some new faces will appear, including StellaLou, Black Panther, Mr. and Mrs. Incredible, Frozone and others. Everywhere guests go, they will no doubt uncover a character egg for photo-taking! Exquisite landscaping at “Disney Friends Springtime Garden” recreates scenes from beloved Disney stories. See how many of these colorful Mickey and friends vignettes you can find in the setting, and snap unforgettable photos to your heart’s content! The park and the resort hotels’ restaurants are presenting over 50 delectable choices of Springtime delights. 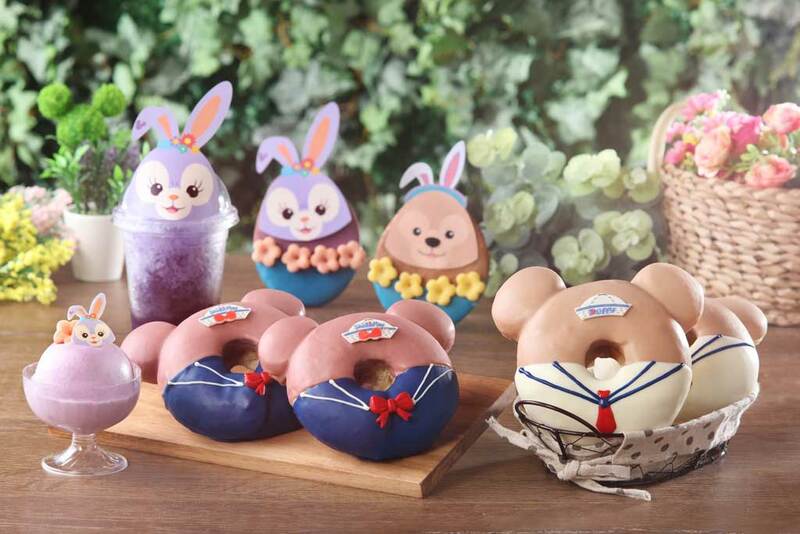 Take time to browse the range of 70-plus Springtime gift collections, among them are seasonal exclusive assortments of the Duffy and friends Spring collection and the Easter Bunny-themed collection, as well as the Eggstravaganza egg-shaped characters series. There is a wide-range of apparel and accessories, plush toys, stationery, toys and pins to share the carnival magic with friends and loved ones. Fans should not miss StellaLou dressed in her spring and Easter costumes! The park and the resort hotels’ restaurants are presenting over 50 delectable choices of Springtime delights. Find Duffy and ShellieMay Sweetie Rings, StellaLou Purple Potato Mousse and StellaLou Lime Freeze at Market House Bakery. The park and resort hotel restaurants are also serving sumptuous spring-themed sets and menus, such as the “Spring Dining Package with DIY Cupcakes Workshop” at Royal Banquet Hall, the “Chef Mickey Family Day Dinner Buffet with Springtime Cookie Decoration Workshop” at Chef Mickey and the “Spring Time Afternoon Tea” at Walt’s Cafe. From now to June 20, 2018, guests staying at the resort’s themed hotels will receive the season’s exclusive Eggstravaganza-themed gift pack, which includes an amenities box, Disney slippers and a door sticker. Adorable Spring-themed towel art will greet guests in the room to bring even more delight. The resort’s three hotels will bring guests a series of Easter celebrations of the largest scale ever. For ten days between March 30 and April 8, 2018, the “Easter Magicarnival” will spread out across the lawns of the three resort hotels, offering a full range of over 30 fun activities for families to enjoy. Take part in egg-citing activities at the Bouncy Zone and other kids activities. Have fun with the entire family at a Disney character-themed egg hunt. Young guests are welcome to join fun creative workshops to make their own Mickey gift bags or Easter handicrafts. Enjoy special variety performances, and look out for Disney friends who will make surprise appearances. For HK$250, resort hotel guests can enjoy the “Easter Magicarnival” (2 tickets included) and In-Room Treasure Hunt Game. Make this Easter holiday a most unforgettable family time at the fun-filled Easter Magicarnival. Riding on the vibrancy of the season of renewal, “Karibuni Marketplace” will open next to Theater in the Wild in Adventureland on March 30, 2018 to immerse guests in the lively colors, sights and sounds of Africa. Guests can take part in interactive games such as the Wheel of Fortune, Blongo Balls and Plinko, and win a chance to take home exclusive souvenirs. 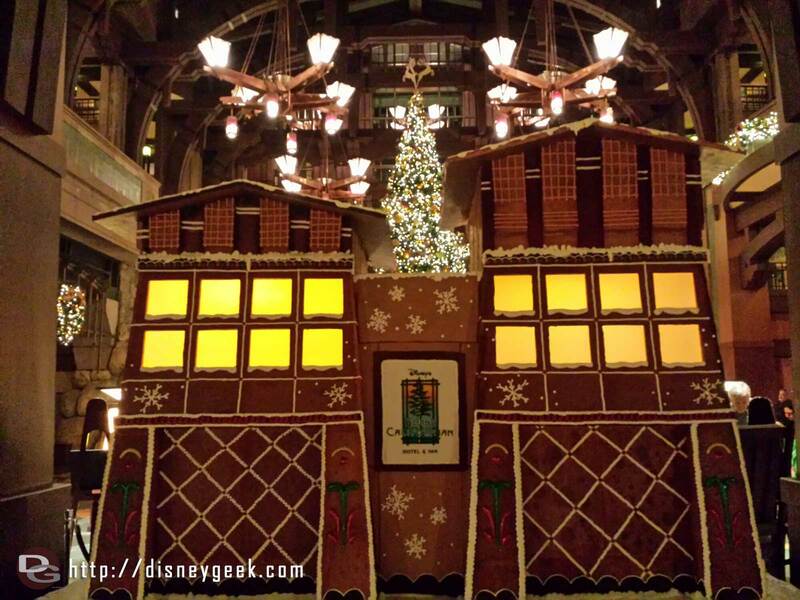 Guests can also enjoy various special snacks they will only find at this marketplace. 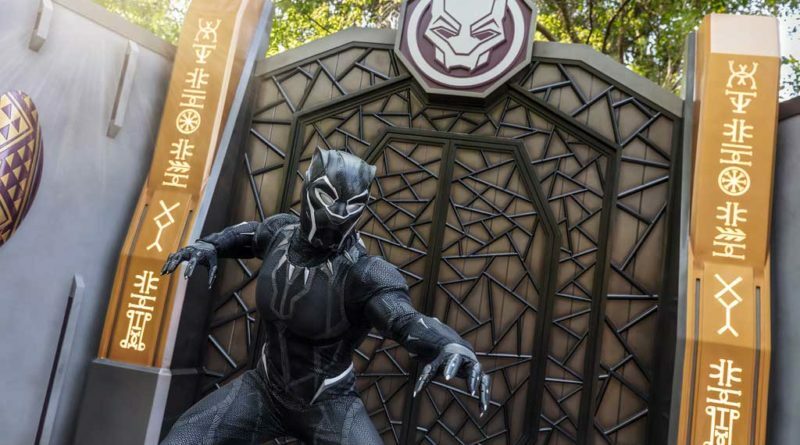 A number of Disney friends from beloved adventure stories will await guests there, including Carl and Russell from Up, King Louie and Baloo from The Jungle Book, Timon and Rafiki from The Lion King, Genie and Jasmine from Aladdin, as well as Lilo and Stitch. The first attraction of the resort’s current multi-year expansion, “Moana: A Homecoming Celebration,” will be launched in May in Adventureland. The transformation of Hong Kong Disneyland’s castle is fully underway. The transformed castle will pay tribute to 13 Disney Princess stories and take the park to new heights with all-new day and nighttime entertainment. The themed hoarding around the castle narrates the scenes of 13 Disney princess stories, with lyrics from the stories’ classic songs. Guests can scan the QR code on the hoarding with their mobile phones to find out more about the Disney princess stories and the offerings in the park that relate to the Disney princesses. HKDL invites every guest to join the magic and help create a Disney castle mosaic! Guests are welcome to share a photo taken in front of the Disney Princess scenes or any memorable photo at the park on Instagram with #CreateADisneyCastle or upload directly to www.CreateADisneyCastle.com to create a Disney castle mosaic together. From now to July 15, 2018, Magic Access (MA) members can enjoy the “Bring a Friend” offer for HK$419^ per guest (a discount of up to HK$200), bringing friends to the park to enjoy “Carnivale of Stars,” “Moana: A Homecoming Celebration” and lots more! From March 17, 2018, MA members may redeem a member-exclusive collectible Disney egg pin* every week for six consecutive weeks in person in the park! With the new redemption arrangement, members have to present their valid membership card in the first week, and during the second to sixth week, members have to present their valid membership card and an on-day eligible purchase receipt of any spending to redeem an egg pin. The egg pins are limited in quantity, and available for redemption while supplies last. ^Magic Access members can enjoy this offer once per day only. Magic Access members are required to enter the Park together with their friends holding valid offer tickets. Platinum members can bring up to five friends per day, Gold members can bring up to four friends per day and Silver members can bring up to two friends per day. *Redemption activity will end on April 27, 2018. For details of redemption requirements, please login to the Magic Access Member site. Terms and conditions apply.